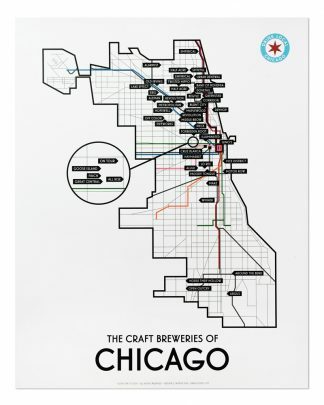 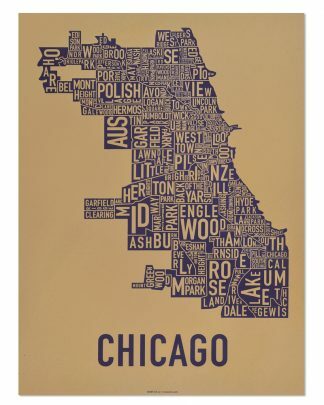 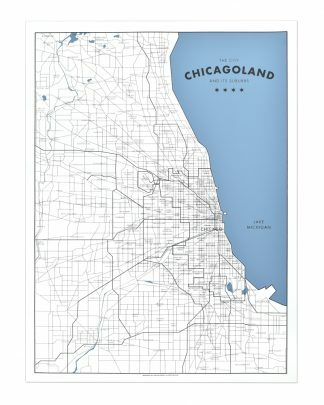 The Original Chicago Type Neighborhoods Map - Locally Made in Chicago! 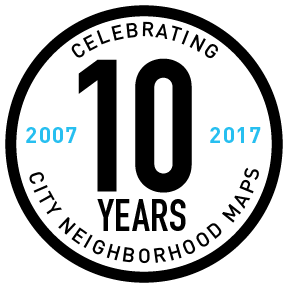 The Chicago Neighborhood Map is our original modern map design and is the city we call home, needless to say we have a lot of Chicago pride. 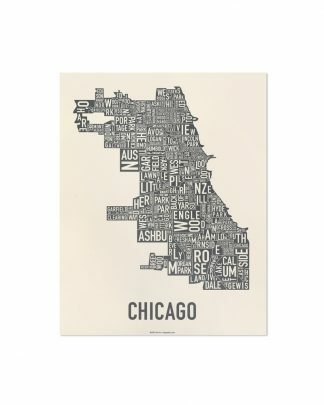 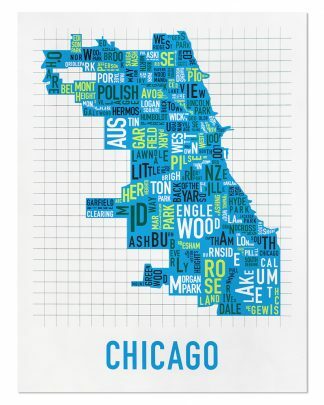 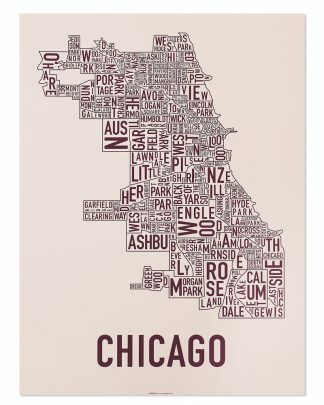 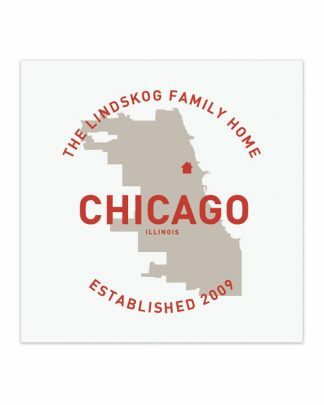 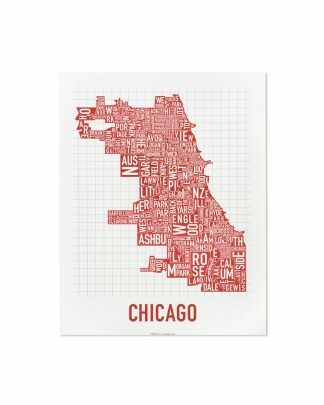 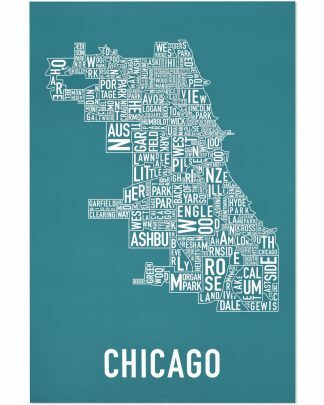 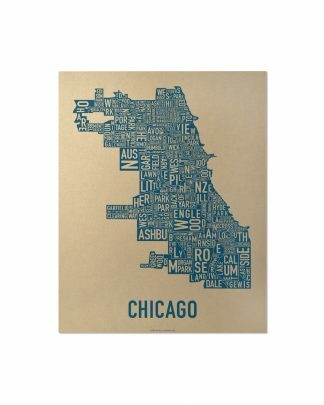 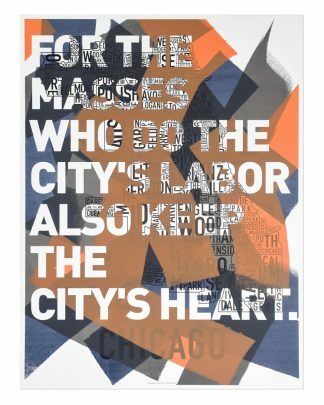 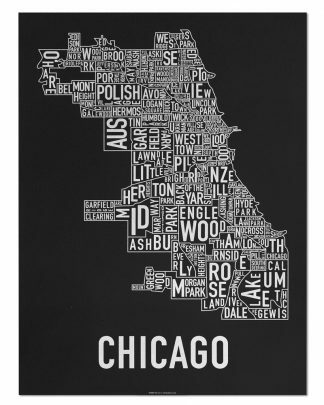 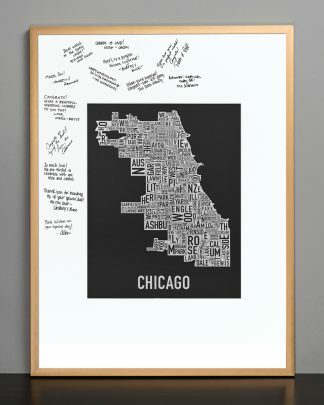 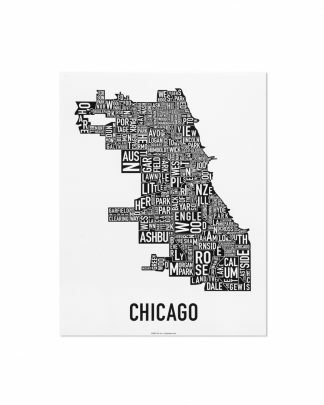 Our unique Chicago artwork is a great way to display your pride for Chicago in your own home. 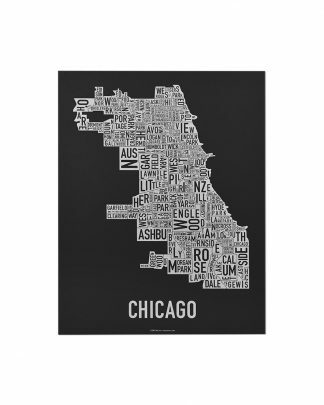 We offer several different colors of posters and screenprints to fit your home decor style. Each letter of the neighborhood’s name is turned and scaled to fit inside the area of the neighborhood, creating truly original modern map artwork.